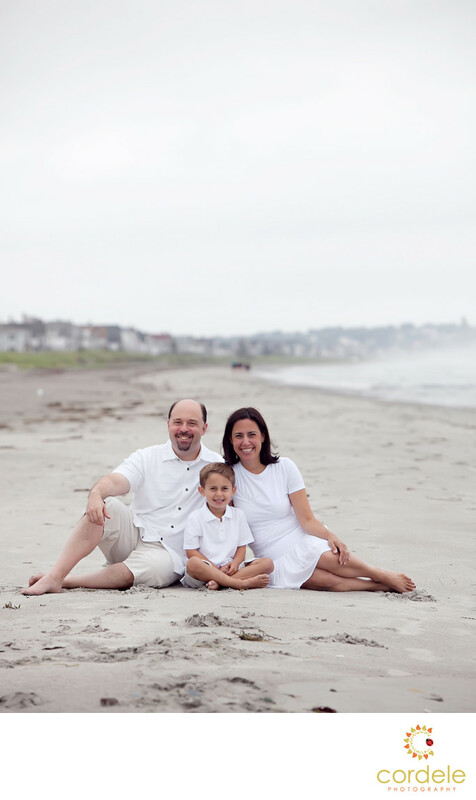 A family sites on Nantasket beach for a portrait wearing all white. This photo is such a classic New England Family Beach Portrait. Most people love having the matching outfits, or the white to reflect off the sand. it's a great choice.